It’s that time of year, where interiors enthusiasts (and professionals! ), start thinking about dreamy, light and breezy bedroom styling. 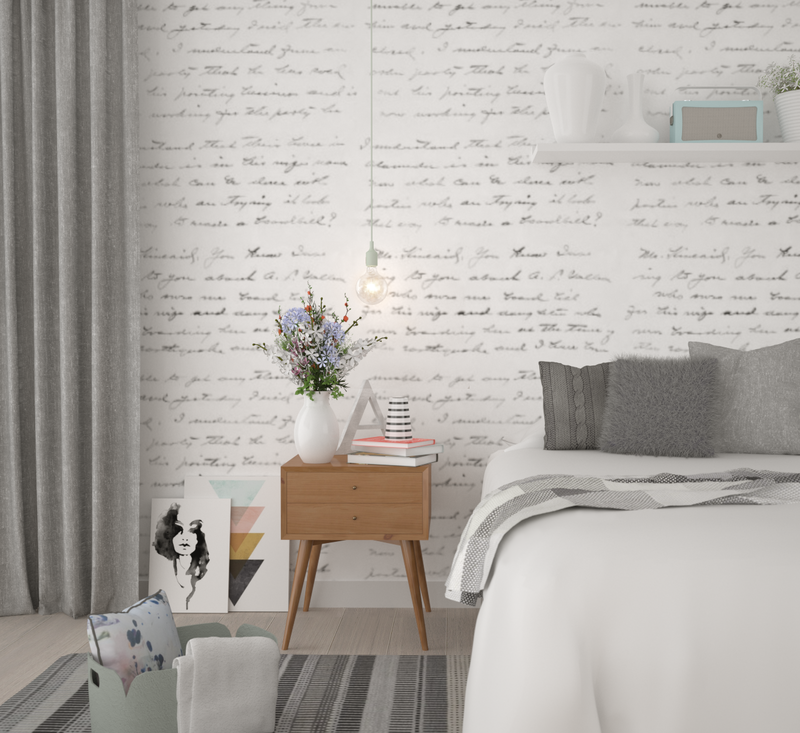 I haven’t created a design scheme from my urban Christmas design, so I thought I’d create a Scandinavian inspired bedroom, due to its crisp and fresh vibe (perfect for Summer), with a little bit of vintage thrown in for good measure. I decided that I wanted a clean, contemporary design, which was also a little haven of calm. So, here’s my final bedroom design. I hope you like it! PSST! Click on the image below to get a better look. I Explain My Design and Tell You Where to Shop The Look! My starting point was a feature wall. I wanted something a little out of the ordinary, that would still have a slightly whimsical vibe, without being too over-the-top (hearts were STRICTLY out of the question). I found it within 16.8 seconds of rummaging through the glorious website that is, Rockett St. George. Allow me to introduce you to the very beautiful, very contemporary and EXTREMELY lush ‘Loveletter’ wallpaper by Young & Battaglia. 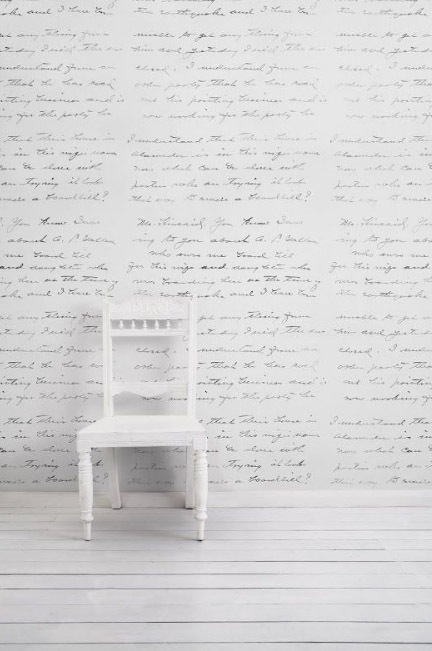 If you love typography and are a little bit of a romantic at heart, then this wallpaper is your SOUL MATE. 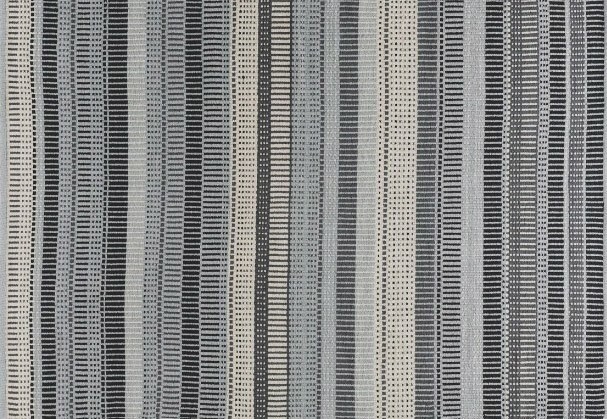 But don’t get carried away, your eyes would beg for mercy, if this wallpaper adorned every wall in a room. Less is more! Use it on a feature wall, or hang it directly behind a bed in place of a headboard, for maximum impact. Next up, were the bedside tables. I was adamant that I wanted mid-century. This style would add a little character and warmth to this scheme, because let’s be honest, Scandinavian inspired designs can sometimes lack a little depth. They can also appear a little cold, which I personally don’t find appealing for a bedroom design. I clapped eyes on this little fella in West Elm and knew that he (yes, he) would feel right at home! For the lighting, I stuck to what I know and love best: BULBS! Obviously, I hooked up with good ol’ faithful, Muuto. I chose a very soft greeny/blue, to inject a little colour and I also included their Restore basket, cos I kinda dig it. Texture and pattern in Scandinavian inspired interiors is SUPER important, as they visually lift the design and help to add weight to their minimal, crisp aesthetic. We all know I’m a cushion addict. So it was very natural for me to start chucking cushions everywhere. But I regained control and narrowed it down to a few on the bed and stuffed one into the Muuto basket. I upped the tactile elements of this design by including cushions that were texture heavy, like the knitted wool cushion and the fur one. 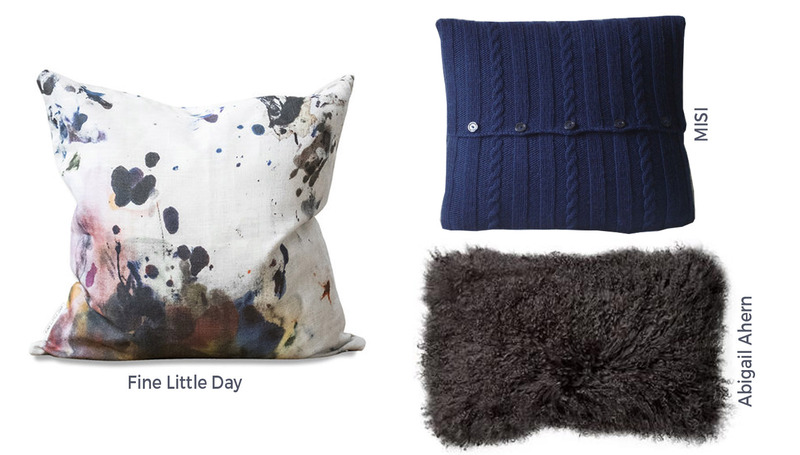 Buy a similar knitted cushion at MISI and a fur one at Abigail Ahern. The awesome abstract art cushion in the basket can be purchased at Fine Little Day. I included it because it has quite a grunge look, which helps to add a little bit of an edgy vibe. Art ALWAYS brings individuality to any design scheme and this one was no different. I wanted to reinforce a casual atmosphere in this interior, so I placed the art on the floor, leaning against the wall. These pieces of art don’t dominate the space (it would be too much visual contrast due to the design of the wallpaper) but they do add a little visual interest and the ‘Minimalist’ piece adds a welcome dash of colour. 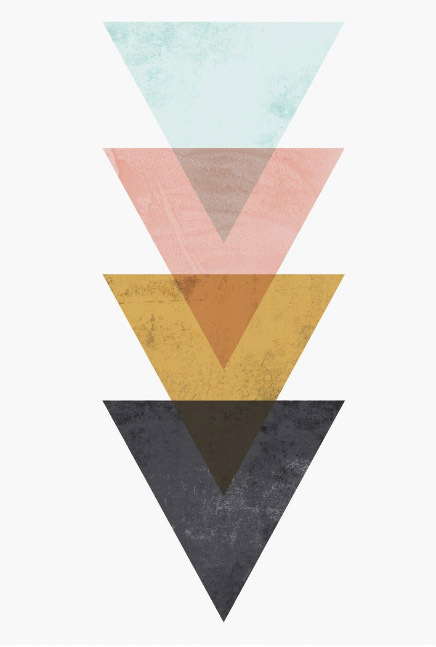 The ‘Lovely Lady’ print can be purchased at Rockett St. George and the ‘Minimalist’ print at Habitat. Pattern was also incorporated via the floor rug. I love using rugs in interior design schemes, they are really worth their weight in gold, when it comes to visually lifting a design. A rug doesn’t need to cover an entire floor, or be large enough so that all of the furniture within its vicinity can be accommodated. Ignore those ‘rules’ and just go for it! And finally, the shelf above the bed was intentionally white, with predominatley white accessories to blend into the background, so that the wallpaper remained the focal point. 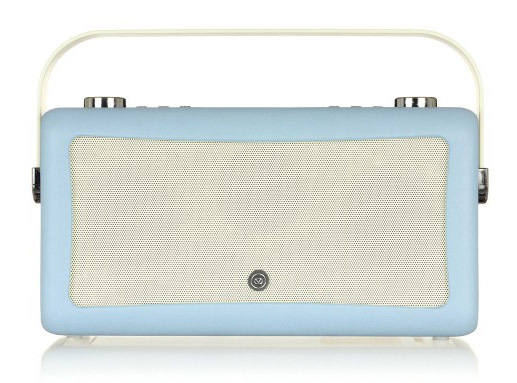 However, I punctuated the accessories with a soft blue (to compliment the bulb and and blue used in the art), via a cool retro styled radio and bluetooth speaker, courtesy of VQ. It’s called the Hepburn MK II and it’s an awesome piece of eye-candy! I hope my Scandinavian inspired design has given you some great ideas for your own bedroom styling! 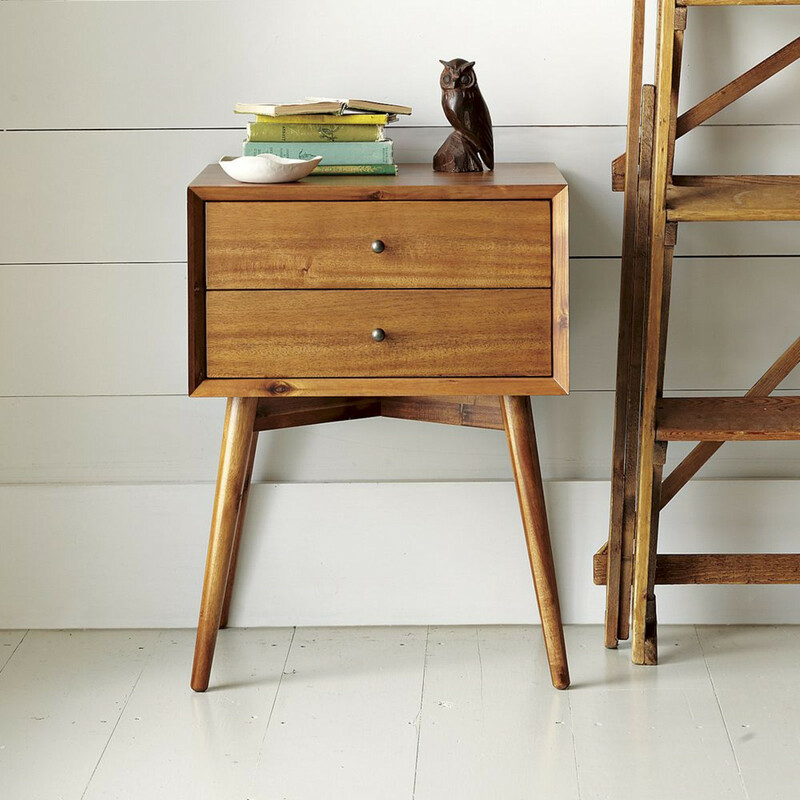 If you love Scandinavian style, share it with the world and leave a comment below!